Biodiversity has been shown to increase the resilience of ecosystems to global change. But what fosters the resilience of socio-ecological systems? Half of the global population depends on mountain regions and the services they provide. Although mountains radiate an image of strength, monumental size and long-term existence, they are in fact some of the most fragile landscapes, shaped by intensive interactions between humans and nature: so-called “socio-ecological systems“. Increasing rates and magnitudes of globalization and climate change are influencing the way such systems function and the current climate debate shows how difficult it is to modify these drivers of change. Instead of staring into the headlights of disasters and simply studying the effects of global change in ever-increasing detail, we thus thought we would turn the question around: What can be done to make mountain landscapes more robust to inevitable global change? In an eight-year interdisciplinary research project, we developed an integrative modeling toolbox, which allowed us to study how socio-ecological systems react to change under various climate and socio-economic trajectories (presses) and extreme events (pulses) and how often these systems share long-known fundamental principles of ecosystems. We found that a high complementarity among farmers’ abilities and skills helps buffering vulnerable mountain systems against socio-economic and climate change. This may sound like common sense, but it is nonetheless a crucial insight – the resilience of mountains depends on high levels of both biological and social diversity. This means that it does not help to just keep farmers in mountain regions to take care of the landscape. It is a typical “more of something good is not always better” effect – analogous to principles in biology, where what counts is not only the number of animals of one species, but the number of species overall and their own specific way of interacting with the environment. A wide variety of species leads to a wider range of responses to environmental fluctuations over time, thus rendering the entire community more stable. To make mountain regions more resilient to global change, we need to have highly diverse land management strategies provided by various stewards, from part-time sheep farmers to full-time cow farmers. It took decades for ecologists to recognize the importance of functional diversity on the resilience of ecosystems to anthropogenic drivers. Given the growing presses on cultural landscapes, we should build our knowledge on the combined insights from ecology and social sciences to better understand the role of diversity as an essential factor fostering the resilience of social-ecological systems to global change. 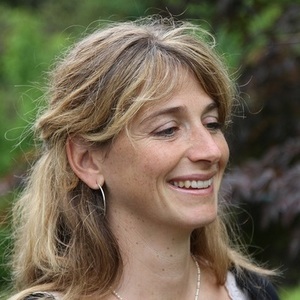 Adrienne Grêt-Regamey is an environmental scientist and landscape planner. She has been Professor at the Chair of Planning Landscape and Urban Systems at the Institute for Spatial and Landscape Development, ETH Zürich (Switzerland) since 2008. Currently, her research focuses on understanding how the interactions and/or actions of humans shape landscapes at various temporal and spatial scales, using different land-use decision models in forecasting and backcasting modes.